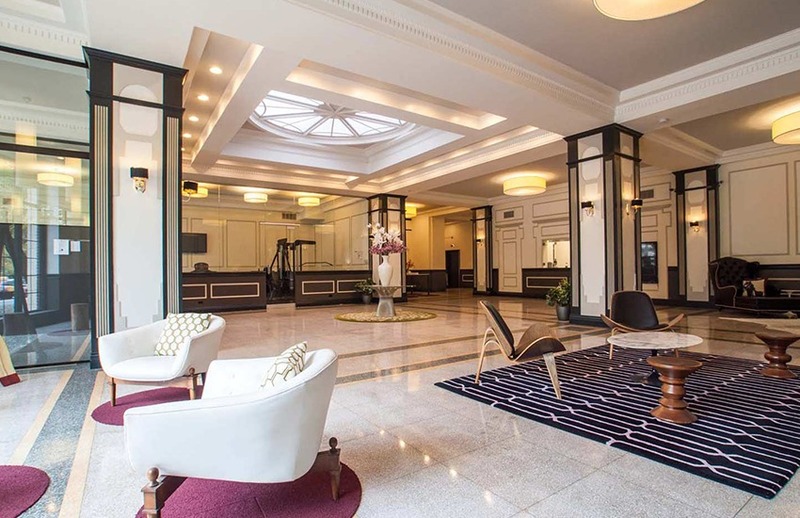 East Park Tower, originally developed as an apartment hotel in the 1920’s, housed a spacious lobby with beautiful ornamentation such as generous decorative wood trim throughout the walls, on the columns, and around the ceilings, giving the space an elegant character. Throughout the decades, the Lobby’s many details were covered up, damaged, or manipulated. In 2012, the Lobby was restored revealing not only the original terrazzo flooring and plaster ceiling – once covered by drywall – but also the original skylight. The columns throughout the space were revived to their original Art Deco molding and wainscoting as well.